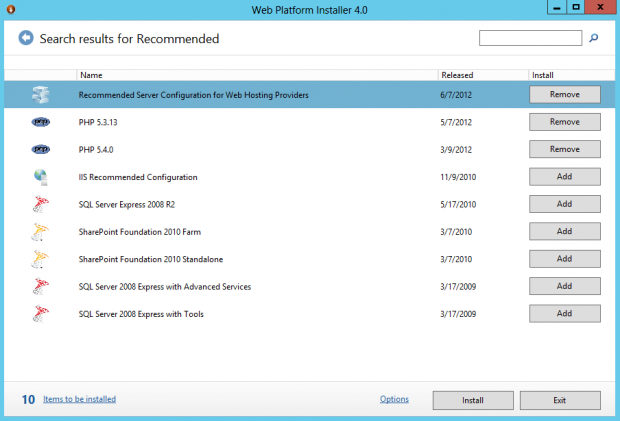 To install WebDeploy we will be using Microsoft’s Web Platform Installer (WebPI) 4.0. You can download WebPI here. If you click the “Items to be installed” link at the bottom, you can see a list of what will be installed. Anything the has an “X” beside it can be removed. For example if you do not want or need PHP and its components you can remove them. Once that completes, you can close WebPI. 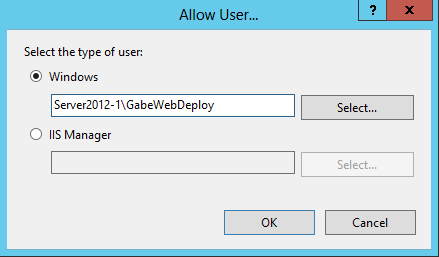 Next we’ll want to create a local non-admin user that we will use with WebDeploy. Open Server Manager, and then select Computer Management. Once Computer Management loads, navigate to Local Users and Groups, then right-click the Users folder and select New User. 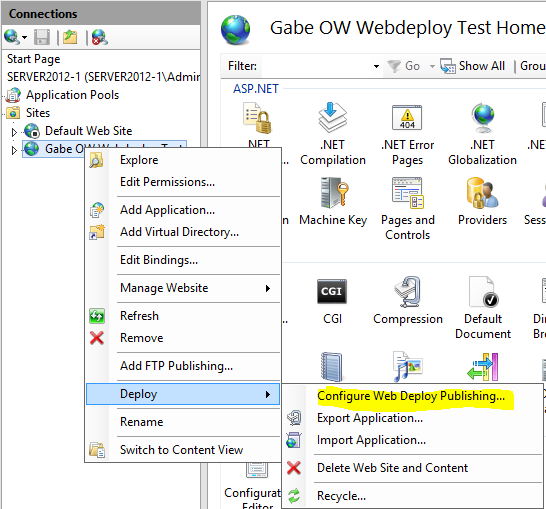 In my example, I created a new user “GabeWebDeploy”. Make sure you remember or document this password. You’ll need it later. 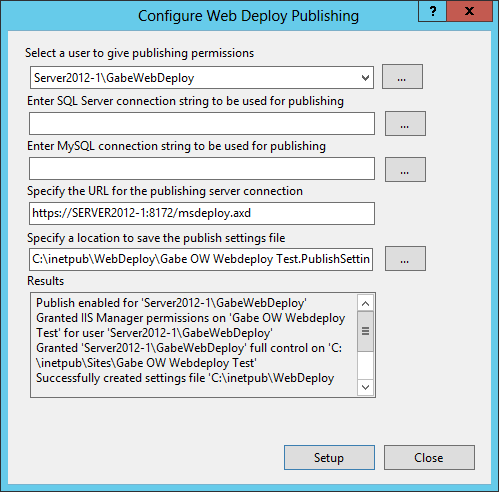 We also should go ahead and create a WebDeploy folder to contain our Publishing settings for later. 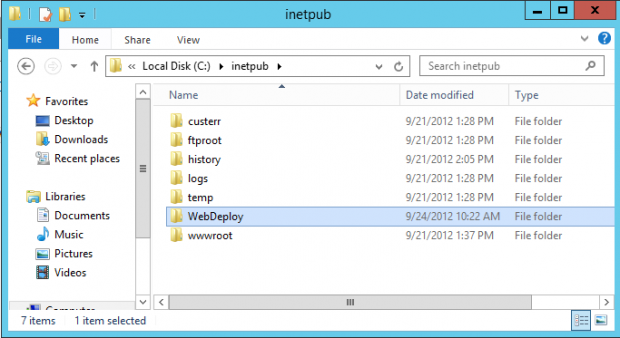 I created a WebDeploy folder in: C:\inetpub. This simplifies the management of Publishing Profile management. Click the “Do not show this message” checkbox if you would like and then click “No” hown above. 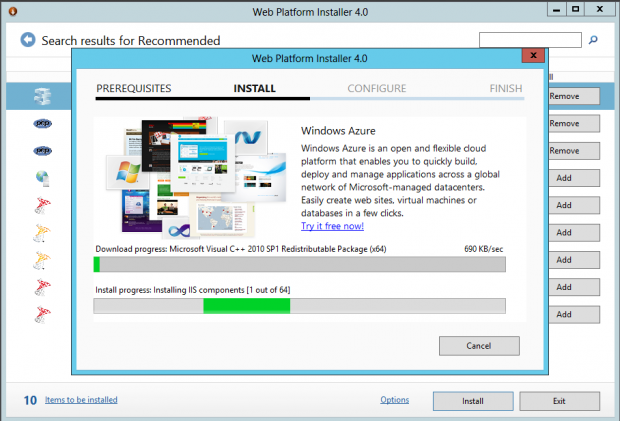 Clicking Yes will just take you back to the website where you download Web Platform Installer. Click the … next to the top line that begins with Servername\Username. We want to change this to the new WebDeploy user we created earlier. Pro Tip: We want to use a non-administrator account and NOT and administrator level account, as we want to contain the server access of the user account to this site/application for security purposes. 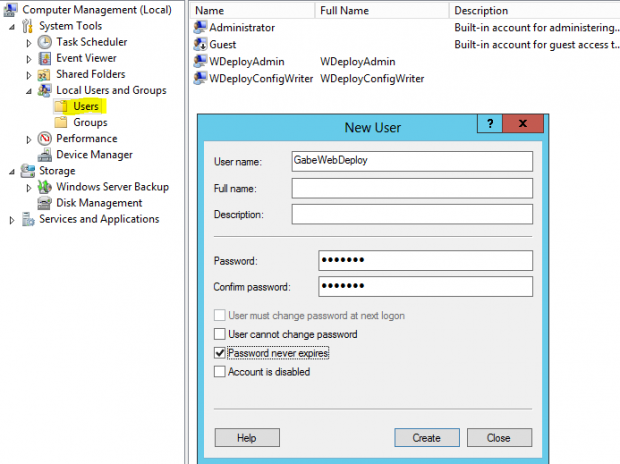 As of this writing in the Server 2012 RTM version, you’ll need to enter the username in the Servername\Username format as the clicking the Select… function will close IIS. This appears to be a bug. 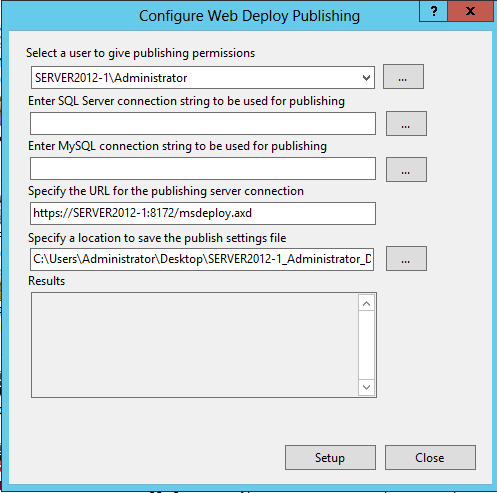 -Configured appropriate settings file to publish to the test site on our server. In the next post, we’ll be showing you how to Import/Export your site within IIS8 and to perform one-click deployments from Visual Studio 2012. 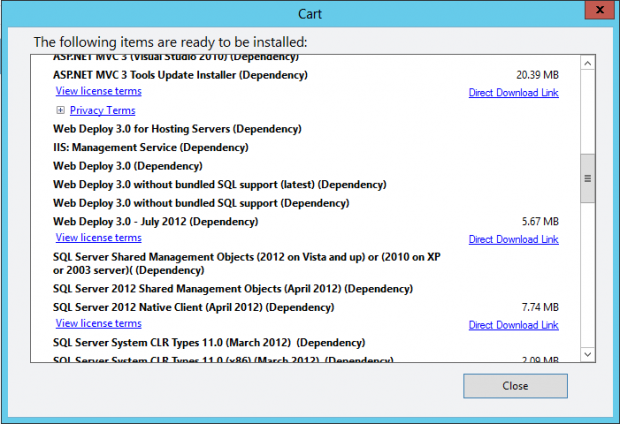 Windows Server 2012 comes packed with some impressive features, and we love breaking them down for our clients. Whether you’re looking for a high-touch managed hosting for Dedicated or Windows Cloud Server needs, or just need a tutorial to do it yourself, we’re happy to help. For more information, feel free to connect with us. give us a call at 1-855-780-0955, or email us at Sales@sherweb.com.